Duru, Maya Joan. “Too Certain to Invest? Public Safety Nets and Insurance Markets in Ethiopia.” World Development 78 (2016): 37-51. 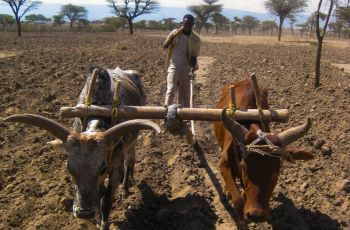 Researchers’ efforts to introduce index insurance in developing countries have met with little demand despite its great potential to help farmers mitigate economic risk. I argue that researchers have overlooked institutional context’s critical role in the formation of private markets when designing insurance contracts. Using micro-level evidence from Ethiopia, I show that recipients of a preexisting effective, large-scale public safety net fail to take-up a new highly subsidized private insurance offer. Government safety net programs can decrease demand for private index insurance, forming an additional barrier to index insurance take-up. A direct implication of this research is that policymakers should design private and public insurance products that account for, or even complement, each other.